This beautiful Uni Flame fireplace was designed by Michael Rösing for the German label Radius and is part of the popular Home Flame collection! 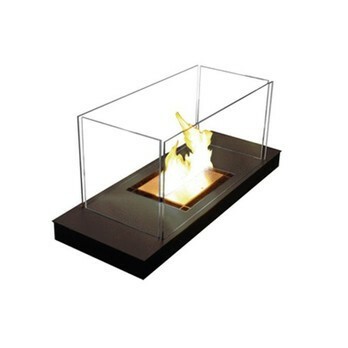 Uni Flame creates a romantic fire in a minimalist way. 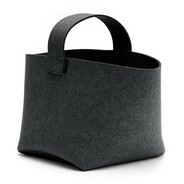 Its modern design lets it fit in with any environment and wherever a cosy fireplace atmosphere is desired. 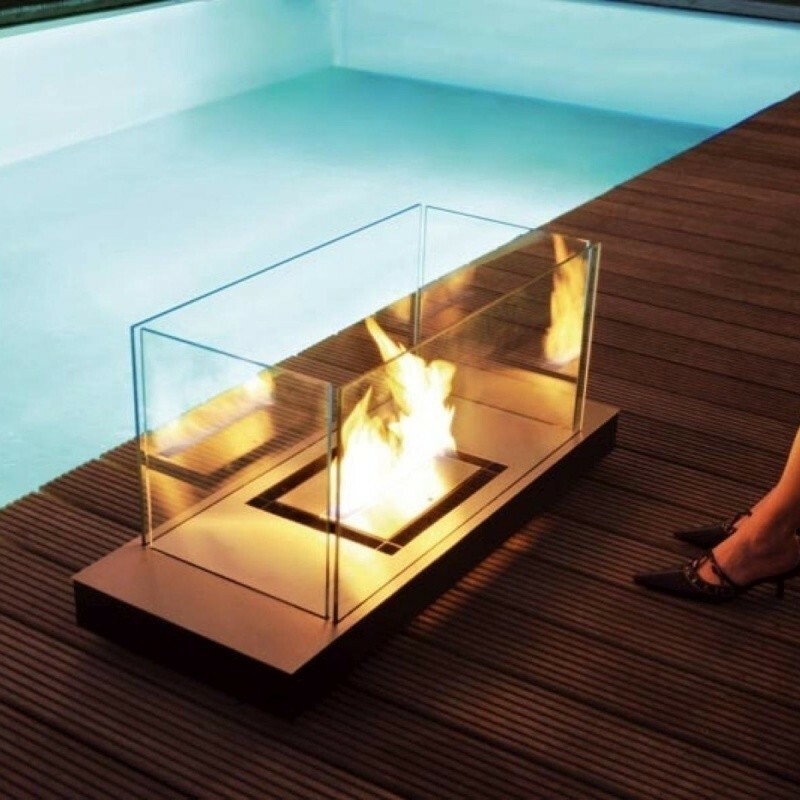 Fulfill your dream of having your own personal fireplace - on the terrace or in your garden in summer and in your living room in winter! 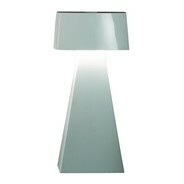 Uni Flame's compact dimensions (99 x 40 x 46 cm; approx. 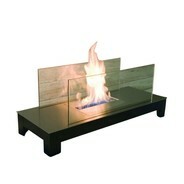 3'3" x 1'4" x 1'6") make it possible, for this mobile fireplace is suited for indoor use as well as outdoor use. 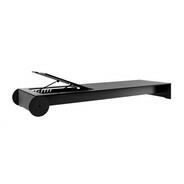 Fueled with liquid bioethanol in a special ceramics burner (1.7 L), Uni Flame provides an open fire with easy handling and low and inexpensive consumption. It is smoke and soot-free with adjustable flames and spotless burning without any residue or ashes - and the best thing about it is that Uni Flame burns up to 4 hours without any extra effort! 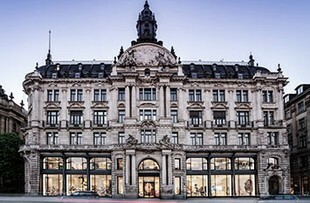 Uni Flame is TÜV-certified and the manufacturer guarantees its flawless operation for 10 years! 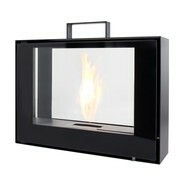 Here at AmbienteDirect.com the Uni Flame fireplace is available in the version made of mat stainless steel, glass and a black base cover. 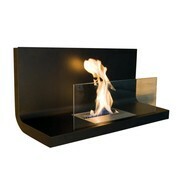 On request the Uni Flame is available with a 3 L burner. Discover the other fireplaces by Radius by visiting the Home Flame collection page.